Line baking sheet with heavy duty foil. 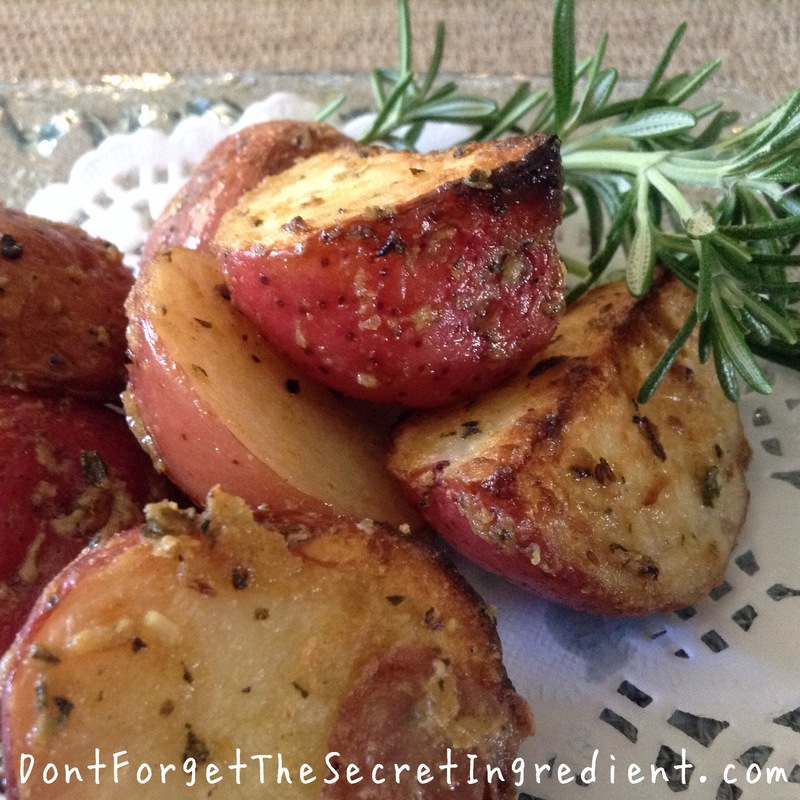 Cook potatoes in a large pot for boiling salted water just until tender (about 10 minutes). Drain, cool 10 minutes. Meanwhile, whisk oil, and next 5 ingredients in a large bowl and blend. Add potatoes to dressing and toss to coat. 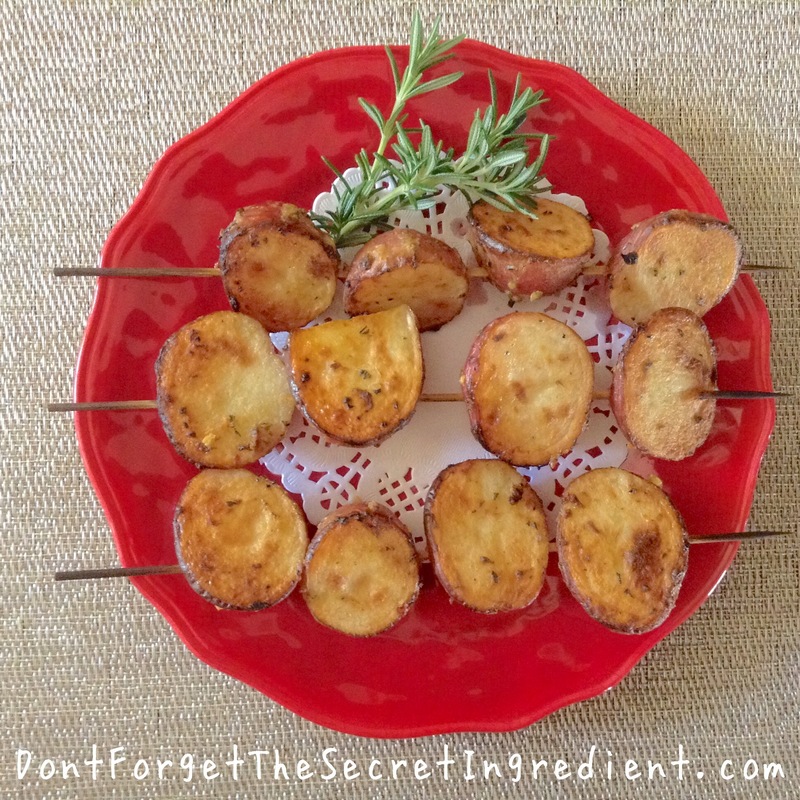 Thread potatoes onto skewers, cut side up. Place on prepared baking sheet. Cover, let stand at room temperature. (Skewers can be assembled up to 4 hours ahead). Preheat broiler, position rack 6” from heat source. 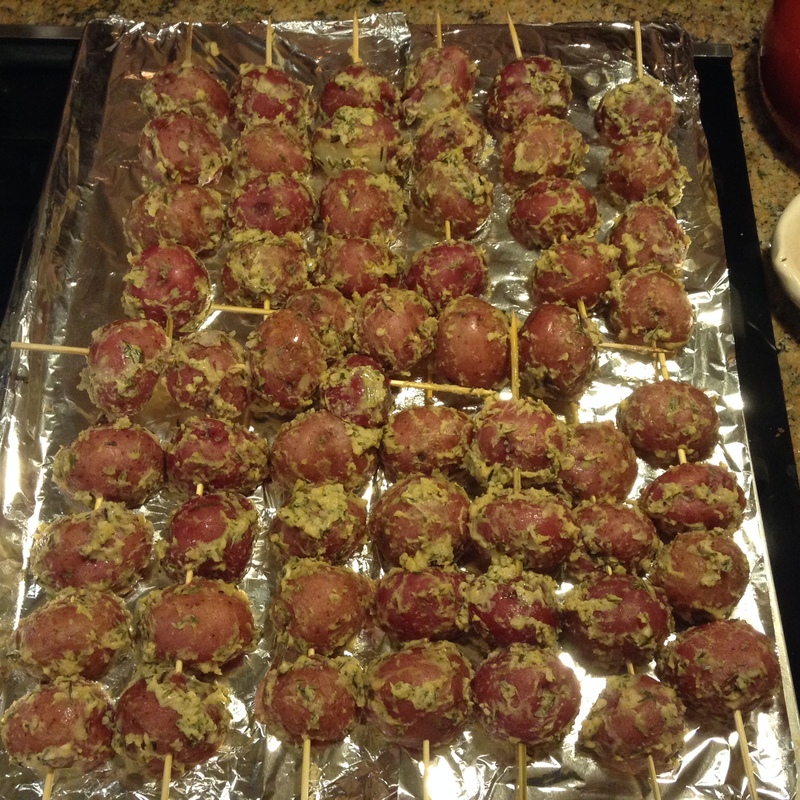 Broil potato skewers until browned and bubbly, turning half way through cooking time, about 10 minutes.